First, the premise of the seat is this: it's inflatable, can be carried easily in the included carrying pouch, and takes up less room than a traditional hard booster seat. Why is this needed? Well, have you ever had to have your child stay at a friend or relative's house who didn't have a booster seat? 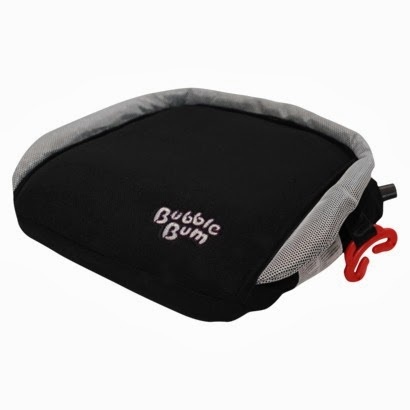 Instead of wondering how you'll get them a booster seat, you can send the BubbleBum seat with your child. It fits easily inside a sleepover bag or backpack. The BubbleBum inflates quickly and easily. The seat is easy to position onto your car's seat, and it is actually more comfortable than a traditional seat (according to my son.) It's like sitting on a comfy pillow!